Alarm Grid is giving their customers affected by Hurricane Maria 6 months of monitoring at no cost. Alarm Grid's Puerto Rican customers don't have to do anything to get the monitoring discount. Alarm Grid, a South Florida company recently featured among the INC 5000 list of America's fastest growing companies, is giving their monitored customers in Puerto Rico alarm monitoring for 6 months during the hardship caused by Hurricane Maria. "We have a lot of customers who are still without power," said Sterling Donnelly, one of Alarm Grid's co-founders. "We want to make sure that amidst all the hardship caused by the hurricane, one of them isn't our bill. There is simply too much going on there now, and this is our small contribution to the cause." "We're being told that in some places, Puerto Rico's going to be without power for months. We're South Floridians. We can empathize with this disaster. We know that an alarm monitoring bill is not the first thing on the minds of those trying to figure out where they can get water," said co-founder Joshua Unseth. Honeywell's AlarmNet, the makers of the popular interactive service, Total Connect, has given companies 6 weeks off of their bill for Puerto Rican accounts. In an email to dealers, AlarmNet asked dealers to pass "those credits... onto... customers where applicable." "Honeywell has made our decision a lot easier," said Donnelly. 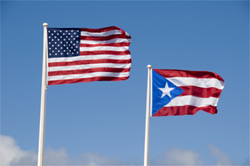 "We were struggling with how to handle our Puerto Rican customers since many of them can't communicate with us to discuss the status of their accounts. And, besides, we didn't think it was appropriate given the circumstance to remove their focus from storm recovery. Honeywell's credit confirmed for us that we were doing the the right thing." Alarm Grid is going above and beyond Honeywell's call to action, however, giving away 24 weeks of monitoring to their customers on the island. "Customers don't have to do anything to get the free monitoring," Unseth said. "We have already applied it to their accounts and have forgiven any Puerto Rican accounts that fell into arrears during the last month. Our prayers are with everyone on the island, and we hope that this contribution on our part is meaningful to our customers who have been affected."